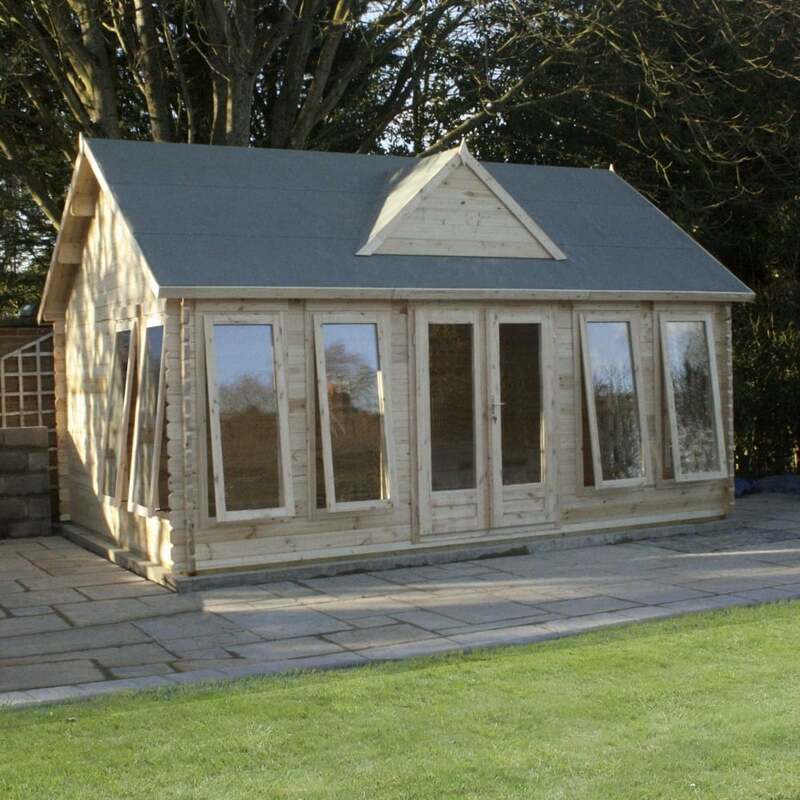 Mercia 4.0m x 5.5m Pool House Log Cabin: The 4.0m x 5.5m Pool House Log Cabin is an attractive garden building and would make a fantastic addition to your pool side. The Mercia Pool House is inspired by a New England design and is constructed using high quality 44mm interlocking cladding for excellent insulation. The 4.0m x 5.5m Log Cabin uses 19mm FSC certified tongue and groove timber for the roof and floor perfect for supporting heavier items and everyday use. The Mercia Pool House features wide double doors with lock and key for added security and 8 opening safety glass, double glazed windows to provide great views of your garden and ample ventilation. The 4.0m x 5.5m Log Cabin features a reverse apex style roof and includes heavy duty green mineral roof felt to protect the building from water damage and wood rot.